No time to treat yourself a mani ? Let's starting a quick fix series! Yes, I love nail arts from bottom of my heart. But sometimes, I mean just sometimes that I don't want to spend too much time on nails and still want some colors. Well, this is one of those 'few' times work. 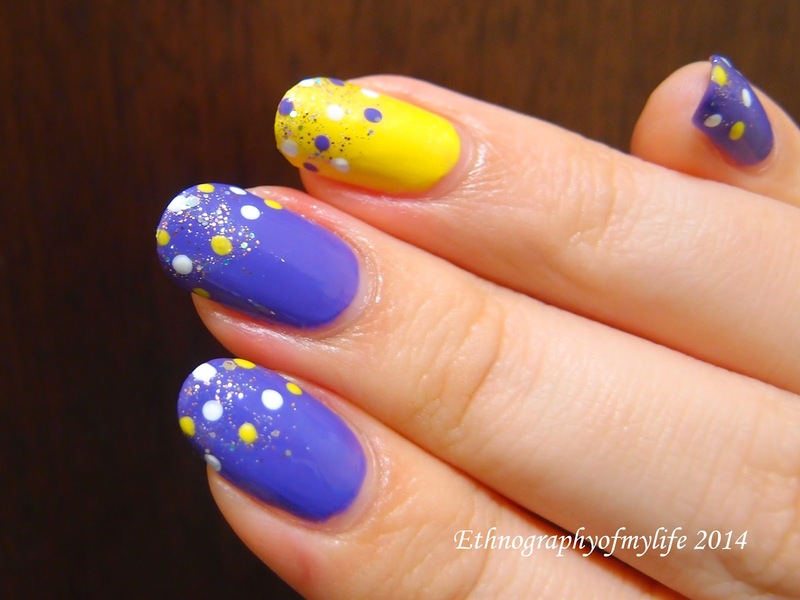 I am starting a new thread of Quick Fix on the blog, so it will be mostly no brainier nail arts. The entire nail art only took about 15-20 minutes. 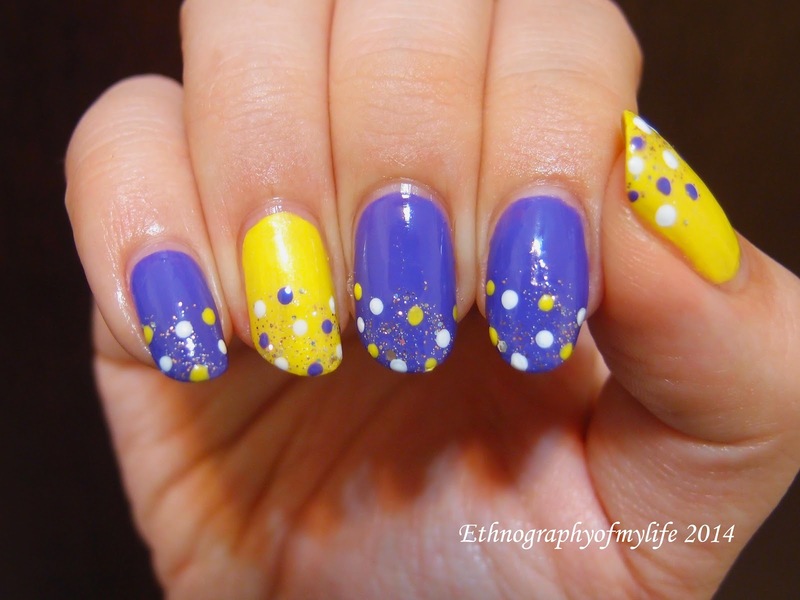 I pat Baby's Breath on the tips and do the random dots of yellow and white. I can't say it's unique or interesting, but not too shabby right? Simple is definitely powerful.